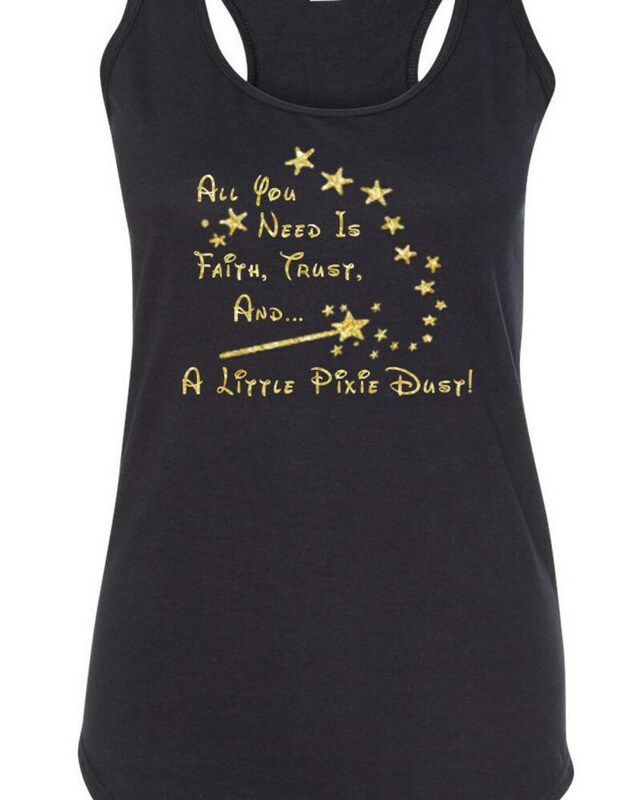 "All You Need is Faith, Trust, and a Little Pixie Dust!" Disney Style Running Tank. 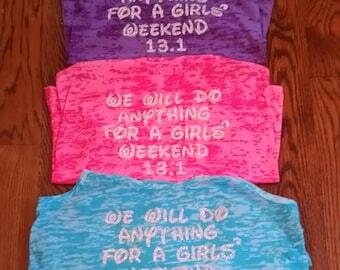 Whether you are running, working out or just out about town, this tank is sure to become a staple in your wardrobe. Fabric laundered, 3.9 oz., 60/40 combed ringspun cotton/polyester, this tank comes in gold glitter as shown unless otherwise indicated in the checkout notes. Other glitter/print colors available as shown in gallery. These shirts are regular fit and true to size. Each shirt is custom made to order, so we cannot accept returns.